Since I was young, I've been passionate about cars. It must have something to do with my grandpa who founded a car dealership which was later taken over by my dad. I spent my childhood surrounded by cars of all sorts: V6, 1.0L, pick-ups, luxury berlines, you name it. When I got into FIRE lifestyle four years ago, I knew I had to make a choice. Passion or reason? V6 or Toyota Prius 1.5L hybrid? Two hundred bucks per month in exchange for 10 minutes of fun, or for more savings? Reason won out in 2013. I’m reminded how glad I am we went this path when we update our budget every month. I would never go back. It is a process to go frugal. But the sooner you do it, the wealthier you will become. I was interested in seeing what other personal finance bloggers drove, so I asked a handful of them and their responses are posted below. There are many frugal ones in there, but also some that may surprise you! I drive a 2005 Honda Accord with 120,000 miles (i.e. 190,000 kms). I paid $9,000 cash for the car in 2010 from an ad on Craigslist. I do not track MPG — never have, never will. 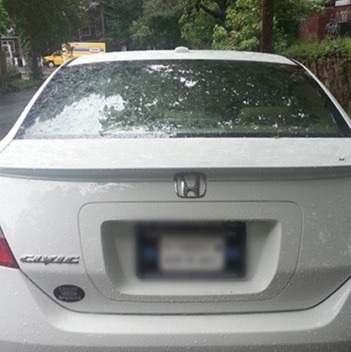 I bought the car because it fit under my $10,000 cash budget, and my track record with Hondas are that they last for a long time. We purchased the car, 7 years ago, with the assumption that my son would drive it when he turns 16 (that is two years from now). At that time, my wife and I will purchase another one. We buy used cars with the goal of driving them for 10 years. I drive a 2015 Honda Fit that cost about $20,000 out the door. I traded my 14-year-old Land Rover Discovery II at the time for $1000 and assumed a $235 a month lease after-tax. I decided to lease the car for three years under my business instead of purchase because I wasn't sure how long I would own the car given I'm highly considering moving back to Honolulu, Hawaii. Further, in case of a family, I want to own a bigger car for safety. The car's name is Rhino, and it gets about 38 MPG (i.e. 6.2L/100kms) on the highway and 28 MPG (8.4L/100kms) in the city. 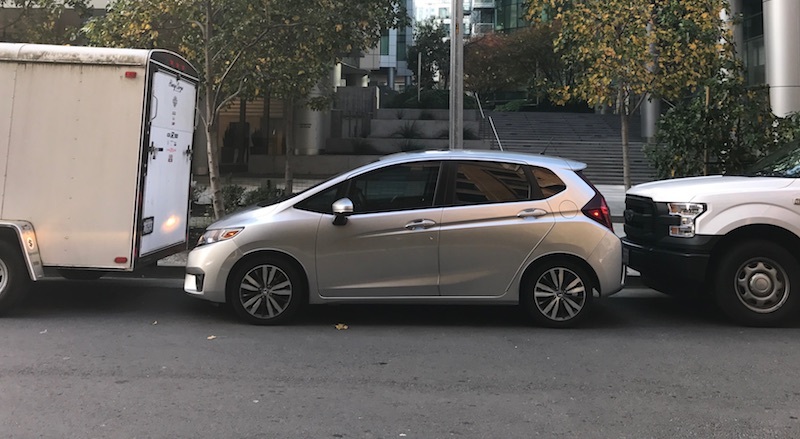 It is the perfect small car to take advantage of 20% more parking spots in San Francisco! So def. not a frugal move, but extremely nice to ride AND reliable - which was key since I needed it to start transporting my kids around every day. We ended up donating her to a Veterans organizations, and taking on a car loan for the first time in a decade to the tune of $20,000 at a low interest rate. We can pay it off any time, but we like the cash buffer. And I'm pretty sure I lost more blog readers after sharing the news of Lexi than I ever have in my 9 years blogging, haha.... But hey - thanks goodness it's my life, right? And never again will I assume people buy fancy cars just for looks or showing off. There's something to be said for the quality and way you feel in 'em for sure. Our family of five owns just one car, which is weird for families of our size who don't live in a major metropolitan area. We bought the car last year in 2016 and paid USD$8,200 cash (including taxes and registration fees). The car we chose is a 2009 Toyota Sienna LE minivan which made it seven years old at the time of purchase. We bought it from a used car dealership because they had just lowered the price significantly after the car sat on their lot for six months. I couldn't find anything as cheap and reliable on craigslist in spite of trying for several months. The minivan was in great condition mechanically and looked good overall on the outside other than a few scratches and dings. The dealer told me nobody wanted this particular car because it doesn't have leather seats (the LE model is second from the cheapest in the Sienna minivan line; more expensive models often come equipped with leather seats). We prefer cloth seats anyway so it was a win-win for us: pay less and get what we want. We drive very little around town (around 2,000 miles per year, i.e. 3,200 kms) since we live in the city and everything is nearby. We walk a lot and occasionally use public transportation. We chose the minivan primarily for road trips since that was its primary intended use. We wanted something large enough to accommodate at least five or six passengers plus luggage and have room to stretch out and relax. In 2016 we went on three road trips totaling 5,000 miles (i.e. 8,000 kms) and it was perfect! I think this is a frugal vehicle because it was relatively inexpensive for a large vehicle (seats seven very comfortably). It's very reliable mechanically which means lower maintenance and repair costs plus we can rely on it for long road trips without worrying about driving an older vehicle. The fact that it isn't a luxury car means routine maintenance and repairs are much cheaper compared to luxury cars. The minivan gets 19 MPG (i.e. 12.4L/100kms) in the city and 23 MPG (i.e. 10.2L/100kms) on the highway according to our EPA estimates. The city estimate is about right but I think we get better gas mileage when it's all highways with little traffic. If you want to read more about our minivan and my thoughts on the life cycle cost of buying used cars, check out this article of mine from last year. We are a frugal family and we have 2 cars. What is wrong? Is the second car really a need? Or is it a want to show off to the neighbours? Given that we drive a Skoda and a very modest second hand Ford Fiesta, it is not to show off.... For a long time, we got along fine with just one car. Now that our kids grow older, their activities increase, we decided that a second car would make our life so much easier. One of my hobbies is to take photography roadtrips with friends. We often meet far away from where I live, at hours that public transport is not an alternative. I then take the car. When the kids have their weekend activities, or my wife wants to go to see family of friends, the second car makes it easy for us. Public transport can not help us here, unless you want to travel for 70 minutes for a 20km distance. Not us. In the morning, I bike to school with the kids and then to the train station. When one of the kids gets sick, I need to bring the sick one to my mother. With the bike, that would be 1,5 hours ride. Not ideal. I drive a severe orange Honda Element with a manual transmission. The car, known for its unique styling (think cardboard box), has since been discontinued. I still love it, even though Honda didn't. I paid $19,100 for it (that was painful to type). I financed it (4.0%), but it's been paid off for over a decade. It's 14 years old! I own it since 2003! We bought it new. I know, I know, that was a mistake. To punish myself, I'll try to get at least 300,000 miles out of it (currently 160,000). We got it from a car dealership. And I had to travel over 100 miles (i.e. 160 kms) to get the car. Manual transmissions are hard to come by here in the states, so I had to search far and wide to get it. Gas consumption is 24 MPG, i.e. 9.7L/100kms (this is the least aerodynamic car ever made). We bought it because I thought it would be versatile. And it has been. I have camped in the car and use it to haul around building supplies. It will fit a 4x8 sheet of plywood or drywall in the back (not flat, but still). Buying new cars is simply ridiculous. There was nothing frugal about that and I won't do it again. However, I earn frugal points if I manage to keep the car for another couple of decades. Wish me luck! Besides broken plastic on the right turn signal, the Element is in pretty good shape. I take good care of it (only the best synthetic oil) and drive gently. Despite its advanced mileage, the Element still has the original clutch and I've only done the brakes on it once! I drive a Mazda 2, purchased via a 3-year car finance loan in 2012. In 2015, I paid off the loan balance in full, using money I had saved up over the 3 years. The total cost was around £13,000 (i.e. USD 16,000). I have always bought new cars and I bought this one as it had an important accessory — a sat nav! I needed to replace my previous car which was no longer mechanically economical, i.e. needed expensive repairs. It does around 50-55 MPG (4.2-4.7L/100kms) but I have no idea if this is frugal. I'll be keeping it as long as it's economical and stress-free to do so. It has no name, it's a car... However, it does have a private number plate - not very frugal I guess but I have had the plate for over 20 years! If you're interested, here's a post about my cars I did back in 2014. We have 2 cars: a black 2004 Nissan Sentra and a blue 2010 Subaru Forester. Mr. T was given the Nissan Sentra from his parents in 2004 after returning from a 2-year mission to Cambodia. They paid $10,000 cash and it was new. We purchased the Forester from my cousin that was leaving Alaska in 2014 for $17,000 in cash. The Sentra wasn't our choice, but it's been a good little car. It's over 100,000 miles (i.e. 160,000 kms) and it's still plugging along. We purchased the Forester because with 3 kids, we didn't need a second car, but reached the point where it would be a lot easier and we could spend more time together as a family if we had two cars. When our cousins announced their move, it was a perfect fit. Subarus handle great in Alaska as they are all 4-wheel drive (fun fact: the taxi cabs in Anchorage are Subarus). The mileage was low on the car, it was in perfect condition, and they sold it to us for less than blue book. I have no idea the MPG (i.e. L/100kms) of either car as it really varies greatly depending on how cold it is outside, how much snow there is, etc (blasphemous that I don't know!). We're lame and don't name our cars... though our Sentra has been a part of a "bear jam" (as pictured) — that's what it's called when a bear is spotted in Denali National Park and all the cars stop and the cameras come out! When we moved back to Scotland in 2014, we bought a used 2006 Honda Jazz with about 60,000 miles (i.e. 95,000kms) on the clock for £2,400 (i.e. USD 3,000) cash. It's been my favorite car we've ever owned! It gets 50+ MPG (i.e. 4.7L/100kms), it has loads of space inside (so we're able to move all of the stuff we own in just two or three carloads), and it's small and quick so it's actually fun to drive! We drive a 2008 Dodge RAM 2500 HD 4x4 pickup truck. It pulls our Airstream that we live in full-time easily, and acts as our main vehicle around town. We bought it in March, 2016, used after the first owner paid for the majority of the depreciation for $25,000 cash. No lease. No loan. It is ours. It gets between 12 and 18 MPG (i.e. between 13 and 19.5L/100kms) depending on whether or not we happen to be pulling our Airstream. We certainly don't consider this to be a "frugal" vehicle. But, it's required to pull the trailer that we live in full-time. We've named the truck Clifford because it's red. We drive a very boring, sensible, practical family car: a Toyota Prius Plus (the wagon version of the Prius). We paid CAD25.500 (about €18.200/USD19.500 at that time) for it. But because we traded in our older vehicle, we walked away paying CAD20.500 (i.e. USD15.600) and got a set of extra rims and 3M tape on the hood (or bonnet, depending where you live) of the car to protect against gravel damage. It still was a lot of money, but not for a nearly new car like this. We also paid about CAD8.000 (i.e. USD6.100) to ship it to the Netherlands. Considering it’s worth much more in the Netherlands (currently still €16.000, i.e. USD16.900). It made financial sense to take the car with us. We got it on cash, but it was initially financed at 0.9% because this way we did not have to sell any investments. But we paid the car off within the next 12 months or so. The car is from early 2013, so about 4 years old. It’s still a pretty new(-ish) car, we never owned anything this new before (and probably won’t again – too expensive in the Netherlands). We bought it late 2013, it was 9 months old and only had 6.700km on the odometer. Considering what the car costs new (including shipping, prep., etc. ), the previous owner must have really not liked the car as he/she paid nearly $1/km in depreciation! No gas mileage can compensate for that. Looking at our Excel sheet, on average we're at about 5.21L/100kms (i.e. 44.82 MPG). This includes a couple of rough Canadian winters as well. Our best ever on a tank was 4.47L/100kms (i.e. 52.2 MPG), this was in the middle of summer. Why we bought this car can be summed up in one word: SPACE. This car is huge on the inside, which is great for tall Dutch people like us. At that time we also had a big dog and a separate stroller and car seat (+ associated kid). It all fitted perfectly and we even had space left. All of this space comes with good gas mileage and low maintenance, an (almost) perfect package. Too bad it is not a pretty (or fast) car… It is a very frugal from a gas and maintenance perspective, but very pricy from depreciation point of view (especially in € terms). However, we would not have bought the same car in the Netherlands, simply too expensive. We will keep it a few more years and get rid of it after our next long road trip. Might trade it for a smaller car, or just rent/borrow cars thereafter. Have not decided yet what to do. But we do want to limit our exposure to depreciating assets like cars. We went to a car dealer to buy it as there was no private party selling their car at that time (there was only one Prius for sale within 300km from our home!). The dealer gave us a reasonable deal too, especially with the extra’s like the rims and 3M tape. Plus the money we got for the car we traded in! Another bonus was free warranty for 5 years on the car and 8 years on the battery + free oil changes for life (too bad all this did not hold true when we exported the car from Canada…). Our one and only vehicle is a Toyota 4Runner named Bruno. Bruno was assembled on a factory floor in the year 2000, which makes him a senior citizen at age 17. We bought Bruno in 2014 for the ripe price of $7,500 cash. He was sold to us by a kind man off Craigslist from Sebastopol, California. Bruno's purpose was for our Great Big Adventure - road tripping overland to Costa Rica. We looked specifically for a Toyota 4Runner because it has 4WD and a high clearance for river crossings & off-roading. Everyone loves 4Runners for their reliability and solid resale value. It was also one of the only cars that 6-foot-tall Travis could lay down flat in comfortably, since we'd be camping in the car. Best miles per gallon we've ever gotten out of Bruno is 21 MPG (i.e. 11.2L/100kms). And that must've been on his very best day. Bruno is so named because it is goofy and regal, all at the same time. Bruno was in fairly good shape when we bought him - cosmetically and otherwise. Amanda must've still thought he needed some character, because she sideswiped a parked green van in Guatemala leaving colorful scratches on the back bumper. My wife and I each drive a Toyota Prius. We bought them at the same time new from a dealership through a car sales program our insurance company offered. I believe they were around $29,000 each. We paid a down payment of about $10,000 on one and $8,000 on the other (which we got from selling our old cars) and took out two loans for the balance. We paid off one loan 3 years early and the second one 2 years early, which saved us a couple thousand dollars in interest. We’ve been without a car loan now for 3+ years and it’s quite nice. We bought the cars new in 2010, so they are just hitting 7 years old. Each has over 120,000 miles (i.e. 190,000kms) and they are still running great. Gas costs are fairly low – I get between 48 and 52 MPG (i.e. between 4.5 and 4.9L/100kms). This is much better than my previous car, which got about 24 MPG (9.8L/100kms). Maintenance costs have been minimal. They have suffered no major breakdowns and I’ve only had to perform routine maintenance. In fact, due to the car having regenerative braking, we’ve never even had to replace the brake pads – even after 120,000 miles (i.e. 190,000kms)! I plan to keep this car until I have enough saved up to buy a Tesla Model S! I drive a 9-year-old Honda Civic. I paid in cash, and bought the vehicle when it was 5-years-old. It has awesome gas mileage, though I don't know the exact specs. Here's an article about the purchase. My vehicle is not frugal but I do consider myself to be a frugal person. We have a Jeep Wrangler Rubicon that has a pop top and is fully equipped to take us anywhere off roading. The total price for the Rubicon and all of the extras were high, but well worth it for what we are wanting in life. It's a great addition to our RV life since we RV full-time and wanted a vehicle that could take us anywhere. 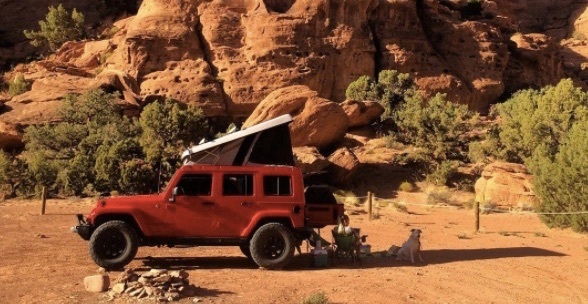 With our Jeep, we can off road somewhere far away, sleep in the Jeep, do some hiking, and be in the beautiful middle of nowhere. The MPG is horrible but luckily we tow it behind the RV so it's not going super far distances unless we are going somewhere close in it. My wife and I just love cars, well designed and with good motorisation. And of course we are keen on getting good value for money when it comes to a purchase. We always pay in cash and preferably buy demonstration cars which are in an excellent state and offered at an attractive discount. It is important for us that a car keeps a good resale value as we will bring it into the price negotations when it comes to buying a new car in the future. 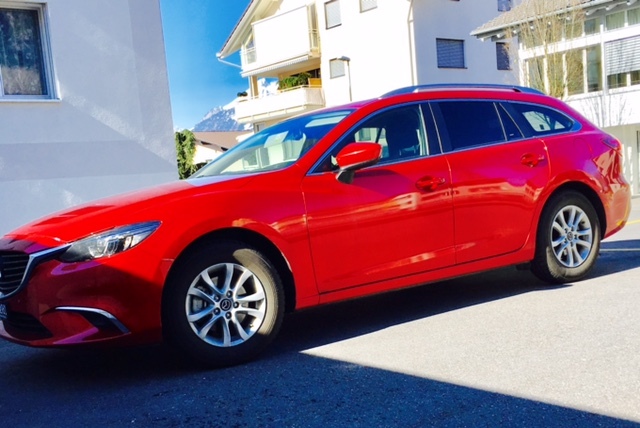 In February 2016 we bought our beautiful red Mazda 6 Skyactiv-G 165 Ambition, a very spacious combi. Comfortable for each distance, roomy and accommodating inside it is the perfect car for our family of four with two children. Strong fuel economy ensures relatively low running costs for a car of that size (it's around 6.8l/100km on average, i.e. 35 MPG). The list price was around Swiss franc 36'000 (i.e. USD 36'000) and – having chosen a three month old demonstration car with only 3'000 mileage status - we concluded quite an attractive price in the amount of CHF 29'000 (i.e. USD 29'000). I gave my ten year old BMW1 in exchange and got CHF 5'000 (i.e. 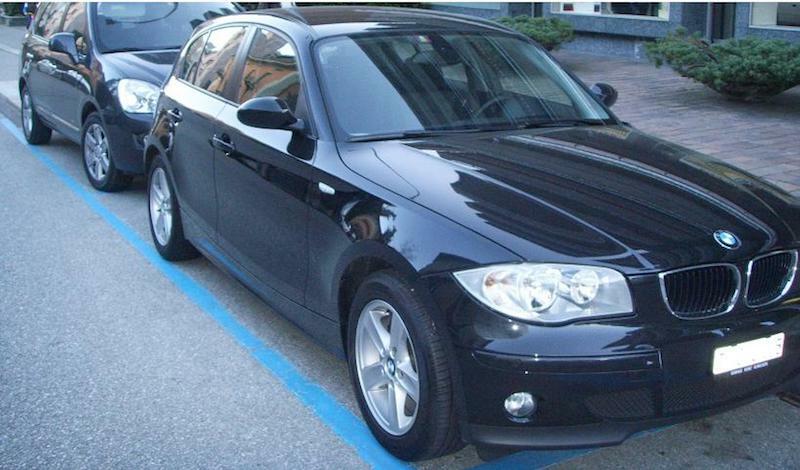 USD 5'000), so the final cash purchase price for our new car was CHF 24'000 (i.e. USD 24'000). Quite a bargain, especially given the fact that we managed to include in that price some additional features such as a five year workshop insurance which covers engine damages and includes a breakdown service. Although we're a Hippie de Land Rover family , we do drive a BMW Series 1 full equipped, actually that car is the same car I bought in 2011 (I call it "The black"). The car is from 2009. The previous owner was lady that quite never used it, I got it with something like 30,000 kms (i.e. 18,500 miles) and included a BMW 5 years service package as well as a second set of winter wheels. I paid 23k CHF (i.e. USD 23k) for it. The car costs us somehting like 300 p/m including, taxes, insurance, tires, services and gasoline. This year I missed the window to change my insurance provider but that 300 p/m could easily go down to 270, let's see next year. We drive a 2010 Subaru Outback station wagon and a 2010 Toyota Prius. The Subaru was paid $12,000 cash in Spring 2016, the Prius $9,000 (cash too) in Spring 2016. Both are from 2010. Both bought on Craigslist. The Subaru is 22 MPG (i.e. 10.6L/100kms) in the city and 29 (i.e. 8.1L/100kms) on the highway; the Prius does better with 51 (i.e. 4.6L/100kms) in the city and 48 (i.e. 4.9L/100kms) on the highway. We live on 66 acres in extremely rural Vermont with no public transit options, so we need two reliable cars. The Subaru has All-Wheel Drive, which is ideal for our icy/snowy wintertime conditions and, as a hybrid, the Prius get extremely good gas mileage, which is important for our long treks into the city. Both cars are frugal because they were purchased used for cash and both get good gas mileage. They're also reliable vehicles. Here's my full post with lots of photos. The Subaru is called RooBaRoo because greyhounds “roo” in lieu of barking, and our greyhound rides in our Subaru, so it’s only fitting that this car be anointed “RooBaRoo”! The Prius is Snowdrop, because its white and we have lots and lots of snow where we live! We drive a Honda Odyssey when we have to have the whole family along. The Tesla Model S every other time. I paid around $77k for the Tesla, which I lease through the business. I got it at the end of 2015 right from a Tesla store. 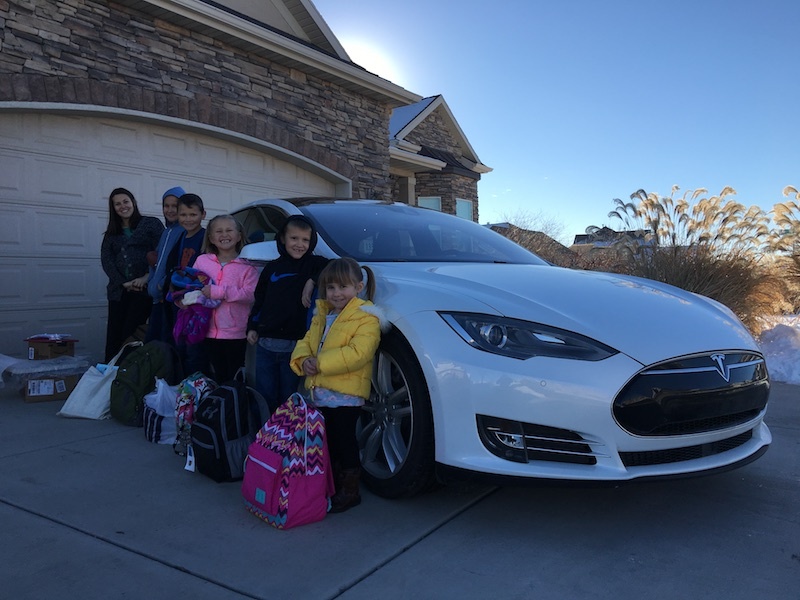 Gas mileage is quite cool — I mean, it's all electric. I bought it just for fun. I don't think it's frugal at all. It's absurdly luxurious in every way. Anyone who says they bought it for the gas savings is ill informed :) — the total cost of ownership is huge. Below a pic of us taking 7 people 700 miles (i.e. 1,120 kms) for Christmas. 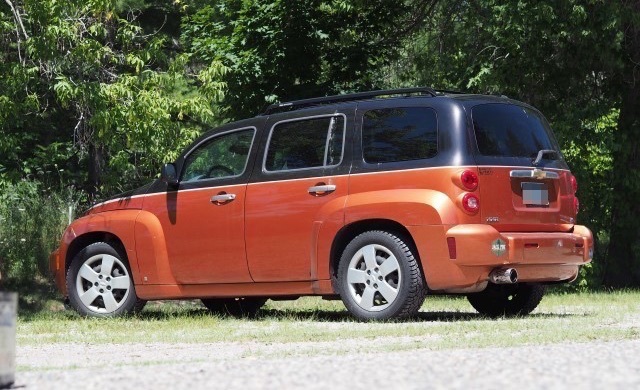 I drive a pretty sweet two-tone 2006 Chevy HHR with 133,000 miles (i.e. 214,000 kms) and a few door dings. We paid about $11,000 for it used back in 2007 or 2008 from a used car lot after seeing an ad online. At the time, my wife and I were somewhat nomadic as I was working locum tenens jobs in different parts of the country, so we wanted a vehicle with good gas mileage. We already had one HHR, which my wife liked, so we picked up a second one, which is the one we still have today. The other one was swapped out for a minivan when we had our second child. Those HHRs used to get around 33 MPG (i.e. 7.1L/100kms) on the freeway, but now struggle to stretch a gallon to 30 miles (i.e. 7.8L/100kms), which only happens on rural highways where speed is more restricted. I hope to drive the nameless vehicle until one of us dies. The car had better go first. Hey MP, I'd love to be part of your post, but I don't drive a car at all. I've been largely car-free since about 2012. I currently walk or take public transportation everywhere, and I plan to continue doing so for the rest of my life. It's cheaper, safer, healthier, and just plain more fun! First, let me thank all the bloggers that took time to share their wisdom on the frugal car topic. I would like to highlight the three main lessons I learnt from these exchanges. Lesson #1: all these people made their choice consciously, and aligned with their values. In the end, I don't think there is one good or wrong answer. There are only people with different lifestyles and in different stages of their life (babies, dogs, etc. ), who managed to adapt their car choice accordingly. Lesson #2: in those answers, I was glad to read what my dad repeated me countless times during my childhood: "Never ever buy a car new, always one that is used." He would continue: "As you sign the check, it will depreciate. 50% during the first year. Then 20% each following years." He exagerated but at least it stuck with me. Thanks dad for teaching me this lesson early in life. You were right! Lesson #3: out of all the answers, 75% of the cars are from Japanese manufacturers. Toyota, Honda, Nissan, Mazda, or Subaru: they all craft reliable and efficient vehicles. You now know what to look for!